127 Marion Jona, Jan. 28, 1924. The Cary Club met with Mrs. Davis The president opened the meeting and thirteen members responded to roll call with "Winter" annotations. Minutes of last meeting read and approved. 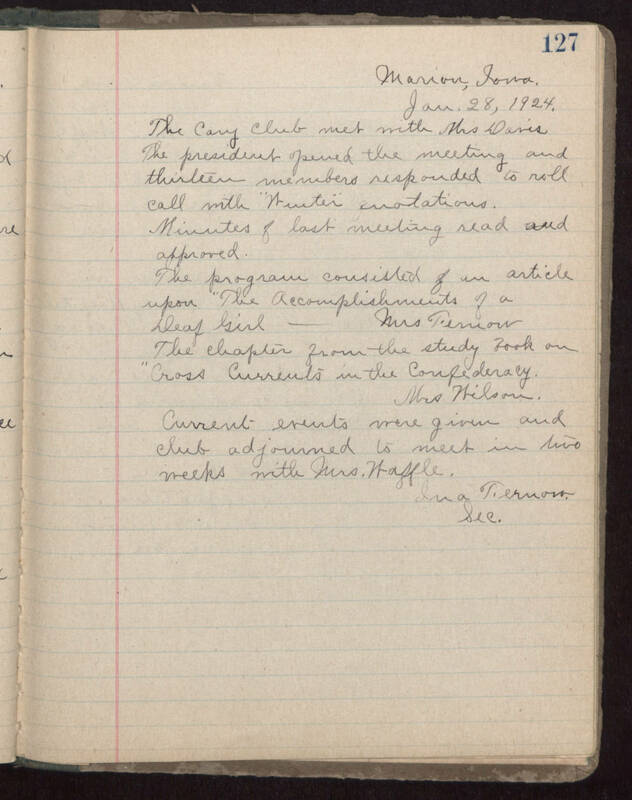 The program consisted of an article upon "The Accomplishments of a Deaf Girl - Mrs. Fernow The chapter from the study book on "Cross Currents in the Confederacy. Mrs. Wilson. Current events were given and club adjourned to meet in two weeks with Mrs. Waffle. Lina Fernow. Sec.